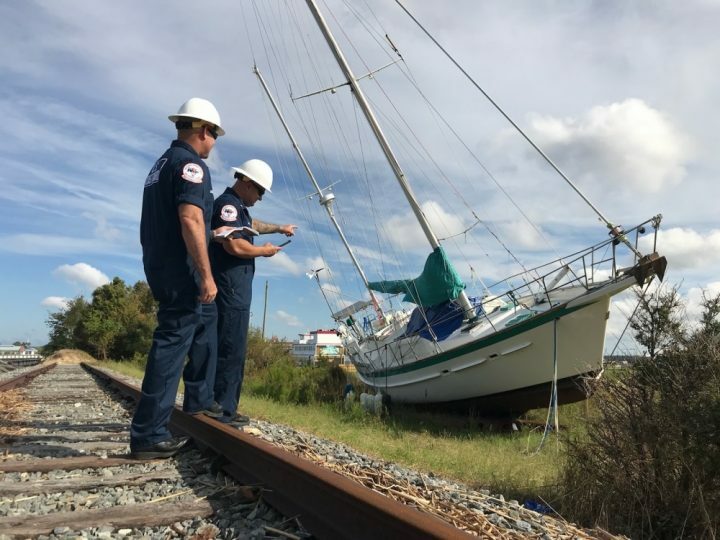 There were hundreds of derelict, abandoned and displaced vessels found in coastal North Carolina waterways after Hurricane Florence, and about half remain where they were found, though the hazardous material was removed. Seven vessels of the 362 flagged by the U.S. Coast Guard were relocated because the vessels were in environmentally sensitive areas and 126 were moved or handled by the owner or a third party, such as a salvage company or through insurance, according to information provided by state Emergency Management, part of the North Carolina Department of Public Safety. The Coast Guard shared with Emergency Management a little more than a week ago the details on the disposition of the 362 vessels, which were assessed by the Emergency Support Function No. 10, or ESF-10, Unified Command, consisting of the Coast Guard as the incident commander, the state Wildlife Resource Commission and the state Department of Environmental Quality. ESF-10 Oil and Hazardous Materials Response, when activated, provides federal support in response to an actual or potential discharge and uncontrolled release of oil or hazardous materials. 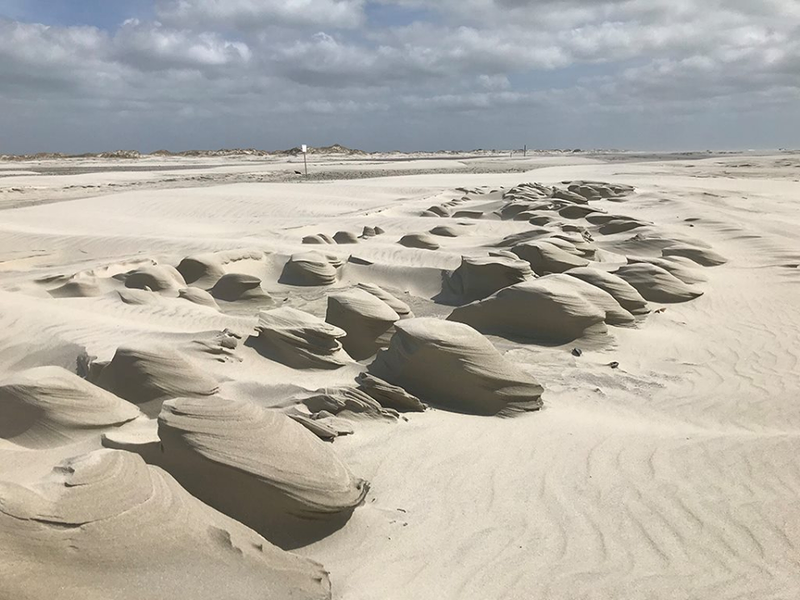 Keith Acree, public information officer with Emergency Management, responded to Coastal Review Online in an email Wednesday, saying that the state determined which vessels were moved. Pollutants were removed from each boat and some were moved to pre-determined locations by the Wildlife Resources Commission and DEQ. Best management practices were monitored and followed for the duration of the operation, he said. Coast Guard Chief Jeremy Thomas, incident management division supervisor, said in an interview that the ESF-10 mission was successful. 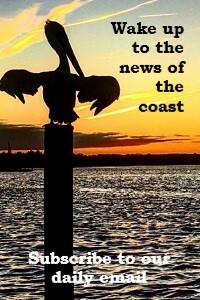 “The Coast Guard did what the state asked it to do … mitigate pollution threats,” he added. 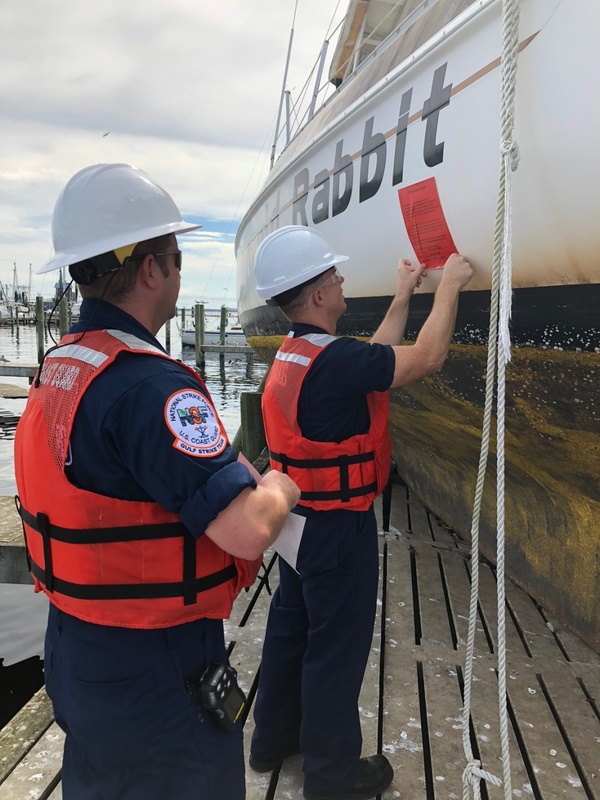 During the ESF-10 mission, the Coast Guard works for the state and the Federal Emergency Management Agency, he said, adding the Wildlife Resources Commission did a great deal of work to find the owners of the displaced vessels, though not all could be located. Acree said that the 362 vessels that were assessed by the ESF-10 Unified Command’s Task Force North, composed of Beaufort, Craven, Hyde and Pamlico counties, which assessed 197 total targets, or vessels, and Task Force South, made up of Bladen, Brunswick, Carteret, New Hanover, Onslow and Pender counties, which assessed 165 total targets. While no vessels were removed by Task Forth North, Task Force South moved seven vessels from environmentally sensitive areas to less-sensitive areas. Of the Task Force North’s 197 total targets, no ESF-10 action was taken on 47 vessels, which means these boats were assessed and deemed pre-storm derelicts or no oil or hazardous materials were on board. Oil and hazardous material were removed from another 79 vessels, which were returned to the general area where they were found, as long as the location did not present a hazard to navigation. Owners, salvage or insurance managed the mitigation or removal of 71 vessels, which required no further ESF-10 action. With the 165 vessels marked by Task Force South, no action was taken for 62 vessels deemed to have been in place before the storm or to have no oil or hazardous material on board. Oil and hazardous materials were removed from 41 vessels and then returned to the general area. Capt. Christian Gillikin of Atlantic Coast Marine Group during a presentation to the Joint Legislative Oversight Committee on Agriculture and Natural and Economic Resources meeting Nov. 13 in Raleigh recommended an assessment and scope of work for the removal and disposal of the vessels that remained in place after the removal of hazardous materials. He also suggested that owners of state-registered vessels carry liability insurance in an amount sufficient to cover any future expenses related to salvage, recovery and damage from storms, operator error and neglect, to keep state taxpayers from being stuck with the bill. Gillikin explained that Atlantic Coast Marine Group was a point of contact for the removal of derelict vessels after the hurricane for those that involved ESF-10. He told legislators that during a statewide survey performed by the Coast Guard, that the more than 350 vessels were flagged for hazardous materials response. 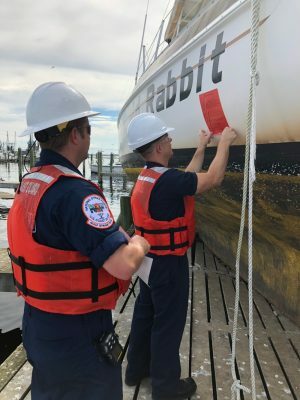 The Coast Guard affixed red stickers to the vessels found to have hazardous material to notify the party responsible for the boat. Gillikin estimated that about half of the boats could not be traced back to the owners because some vessels were too damaged to find the information, or their registration numbers were incorrect. Also, sometimes when the proper owner is identified, those individuals are unwilling to take responsibility. 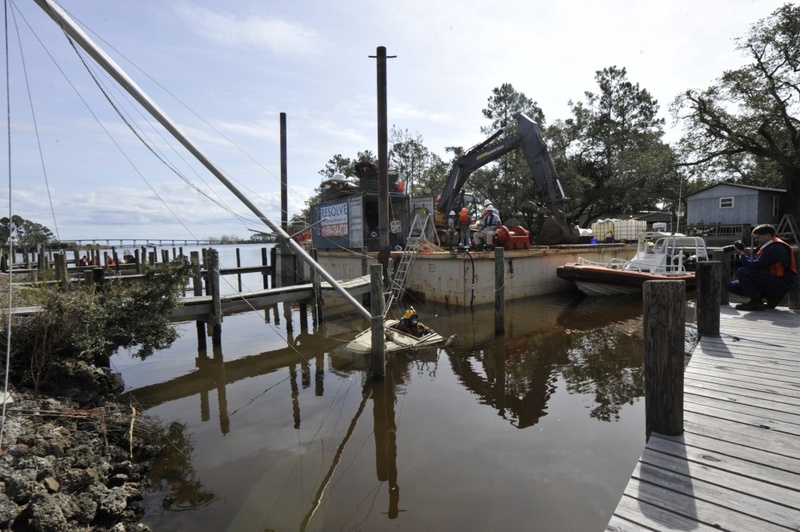 Gillikin said that under ESF-10 the federal government raises the sunken, damaged or derelict boat after a storm, removes all the hazardous materials and then leaves the wreck for the state to manage the disposal. He gave four examples of vessels that, after removing hazardous materials, were left in place or were sunk again. “If a vessel was sunk, we used airbags, whatever type of salvage gear we needed, lifted the vessel, all the hazardous materials were removed, and then the vessel was sunk back down,” Gillikin explained. He said that over the long term, submerged, derelict and abandoned vessels could cause navigation hazards in and around marinas and impact fisheries, cause sea habitat issues, negatively affect public perception of tourism destinations and lead to complaints by nearby homeowners. Vessel decomposition is another long-term environmental effect, he said, using a fiberglass sailboat to illustrate. He said fiberglass will delaminate or fall apart over time. When Gillikin suggested to the legislators that an assessment be performed at a cost of no more than $50,000, he estimated that about half of the original number of boats remain in waterways. He said once the assessment has been made of the remaining vessels, a total project cost could be determined. “For example, removal fee would be $395 per foot … if we took an average 32-foot vessel, $395 per foot, would be $12,640.” The total project cost can be more accurately determined after the assessment is completed. Gillikin said Friday during a follow-up interview that he was waiting to see if funds would be approved by the legislature to move forward with the assessment. 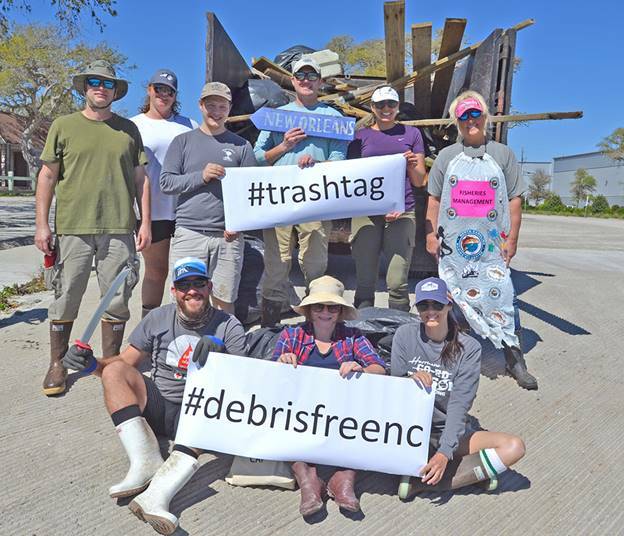 Acree told Coastal Review Online Wednesday that the Unified Command considered implementing ESF-3, “but based on North Carolina law, decided it did not have the authority to remove and dispose of the vessels, which are private property. “Given the decentralized and localized authority for derelict vessels, they believed there were significant legal authority questions related to utilizing ESF-3 by the state,” he said. Rep. Pricey Harrison, D-Guilford, a member of the Joint Legislative Oversight Committee on Agriculture and Natural and Economic Resources, said in an interview Wednesday that she was shocked to learn the number of vessels flagged during the statewide survey by the Coast Guard after Florence. Harrison, who also has a home in Beaufort, said she’s noticed that derelict and abandoned vessels have been an issue for some time. 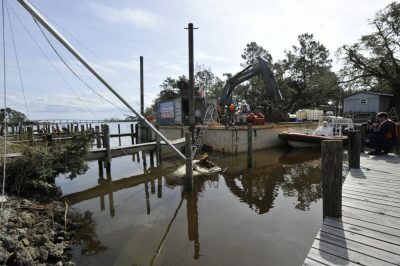 She explained that at the meeting Tuesday, the committee supported recommending that boat owners carry liability insurance to help fund ridding the waterways of the debris. One point that was discussed Tuesday that did concern her, she said, is that boats were not removed but instead were sunk after the hazardous material is removed. The General Assembly is scheduled to convene Nov. 27 to consider, among other things, hurricane relief and Harrison said the issue may be raised at that time. If not then, the oversight committee will recommend the issue of derelict and abandoned boats be addressed at a later meeting, she said.